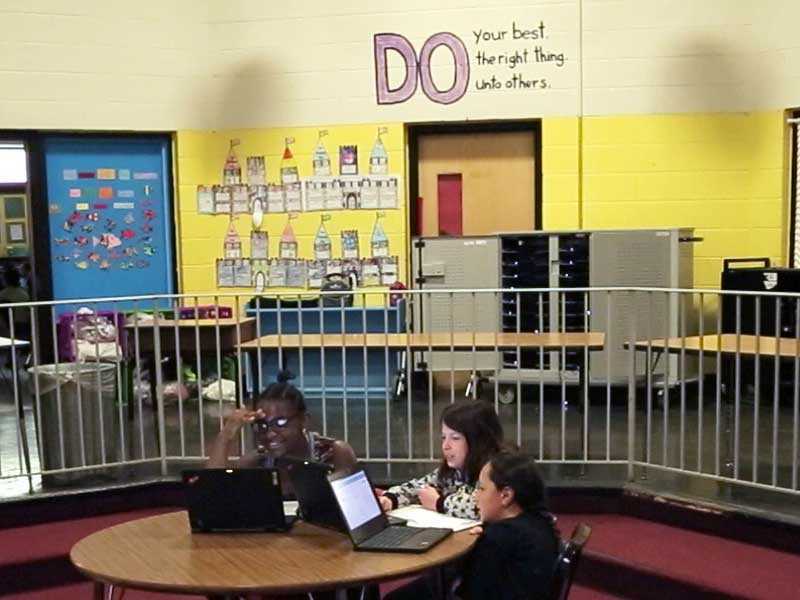 Using space flexibility has been critical to meeting students’ needs in Pleasant View Elementary's 5th grade science class. While matching space to needs is a common strategy, Pleasant View’s 5th grade has more diverse needs, with two students in wheel chairs. 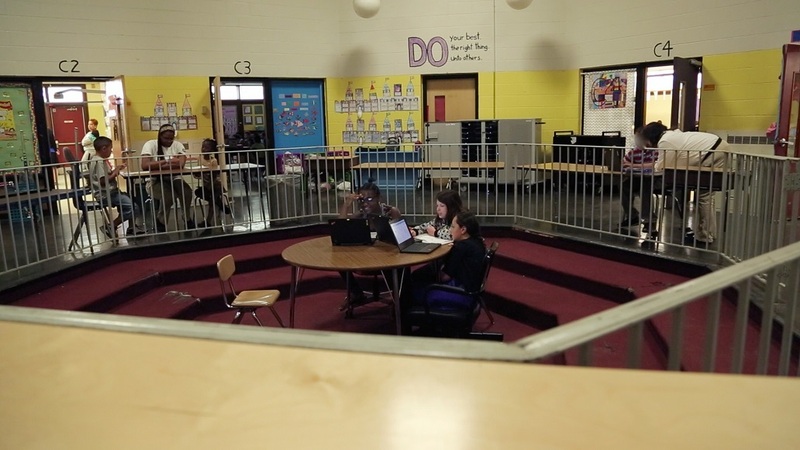 In addition to allowing students to move freely between two classrooms, there is a large room outside the classrooms that allows students to spread out for working in a quiet environment, working in groups, or taking assessments.